#CUobsessed is about telling people the good news about why credit unions are different and the better choice for consumers! It’s about sharing our passion, and it’s a way to start the conversation with current and potential members, as well as credit union staff. During the President’s Vision speech at the 2017 MAXX Annual Convention, NWCUA President and CEO Troy Stang said we, the Association, and more than 20,000 credit union employees throughout the region, must elevate our actions and ignite an obsession for the Credit Union Movement in our members. 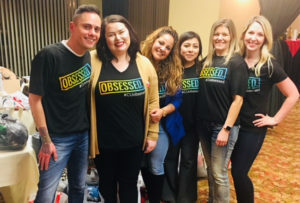 Ultimately, #CUobsessed gives credit union staff the opportunity to show how credit unions’ not-for-profit, cooperative, local, and member-owned structure is helping people live better lives. When the phone rang on the mainstage during NWCUA President and CEO Troy Stang’s vision speech at the MAXX Convention, the audience answered, and accepted a new mission: credit union obsession. That is, to get their credit union’s staff and members obsessed with the credit union difference. While noting that 50 percent of Northwest consumers already use credit unions as their financial services partners, Stang asked MAXX attendees to recognize they have an opportunity to serve even more consumers. Stang called on MAXX attendees to return to their credit unions obsessed with the mission to grow membership, and to engage every board member, staff member, and consumer in raising awareness about the benefits of credit union membership. He emphasized that cultivating awareness of the credit union difference is truly an opportunity for the consumer, and a mission that will serve to advance communities throughout the region. 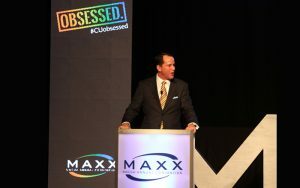 All MAXX attendees received a black #CUobsessed t-shirt, and were encouraged to accept the Mission Possible challenge. 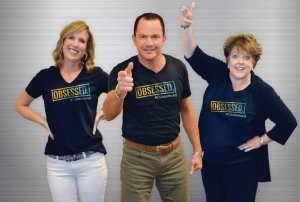 To ignite your staff’s credit union obsession and help them start the conversation, order #CUobsessed t-shirts through our partner, Kaye-Smith. Share Your Credit Union Obsession With Us! What have you done at your credit union to ignite the credit union obsession in your staff and your members? We’re looking to showcase the many ways Northwest credit unions are demonstrating their obsession with the Credit Union Movement. 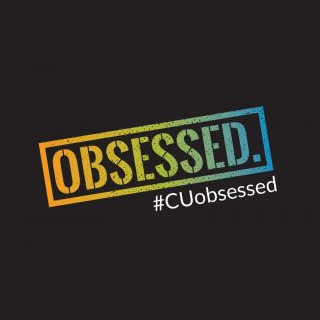 If you have photos, stories, or videos about how you show your love for your members and how you’re #CUobsessed, send them our way for an opportunity to be featured in our Anthem newsletter, on our website, and on social media.